Nate Silver is perhaps best known for being one of the most accurate election forecasters in the U.S., where he has applied statistical methods originally developed to analyze sports to determining the most likely outcome of elections. Spending on infrastructure and government services, excluding defense, has kept pace with gross domestic product growth. (Spending on infrastructure and services by the federal government specifically has lagged gross domestic product growth somewhat, growing at 1.8 percent per year.) 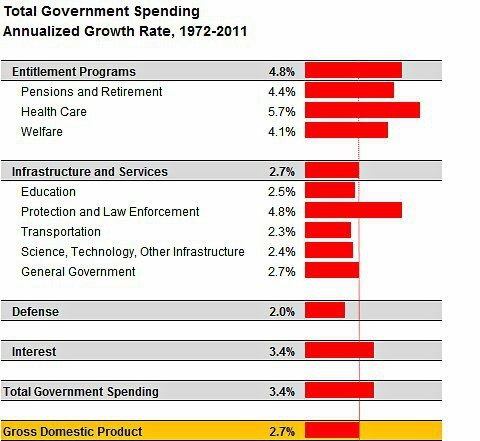 Also, most of the subcategories of infrastructure and services spending that usgovernmentspending.com tracks have decreased slightly as a share of the gross domestic product, including spending on transportation, education, science and technology. The major exception is spending on the category they describe as “protection,” reflecting the increase in the criminal justice apparatus, which has grown at 4.8 percent per year. Another way to view these data is to allocate the increase in spending-to-G.D.P. between the different categories of expenditures. 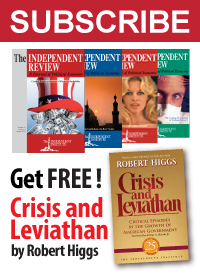 Total government spending — including federal, state and local spending — rose to about 39 percent of the gross domestic product in 2011 from about 30 percent in 1972. So we have a 9 percent increase to account for, which is equal to about $1.3 trillion per year in current dollars. Spending on entitlement programs was about $500 billion per year in 1972 in today’s dollars. If it had increased at the same rate as the gross domestic product, it would now be about $1.4 trillion. Instead, it is now about $2.9 trillion per year. What this means is that there has been about a $1.5 trillion increase in entitlement spending above and beyond gross domestic product growth. This is actually slightly larger than the overall increase in government spending relative to gross domestic product. This results from the fact that spending on the other categories has been essentially flat relative to the gross domestic product (infrastructure and services), or constitutes a negligible part of the budget for the time being (interest), or actually decreased relative to gross domestic product over the 40-year period (defense). To put it another way, in order to be able to actually afford the total increase in entitlement spending that occurred, the U.S. economy would have had to grow at a pace nearly twice as fast as it did in the forty years from 1972 through 2011. … the declining level of trust in government since the 1970s is a fairly close mirror for the growth in spending on social insurance as a share of the gross domestic product and of overall government expenditures. We may have gone from conceiving of government as an entity that builds roads, dams and airports, provides shared services like schooling, policing and national parks, and wages wars, into the world’s largest insurance broker. In truth, most of us are really neutral toward our insurance brokers, at least those in the private sector, because unlike the government, we’re free to do business with them or not. The government, and the politicians and bureaucrats who run it, would prefer to deny us that kind of choice. 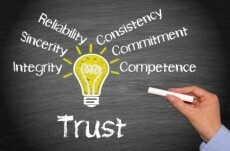 To actually build trust takes a combination of integrity, sincerity, reliability, consistency, commitment, and competence. All one has to do to understand why Americans have grown to distrust government so much, and are growing even more distrustful of it, is to consider the nearly complete absence of these factors from the President on down in the implementation of the latest expansion of unaffordable entitlement spending: the Affordable Care Act (a.k.a. “Obamacare”).